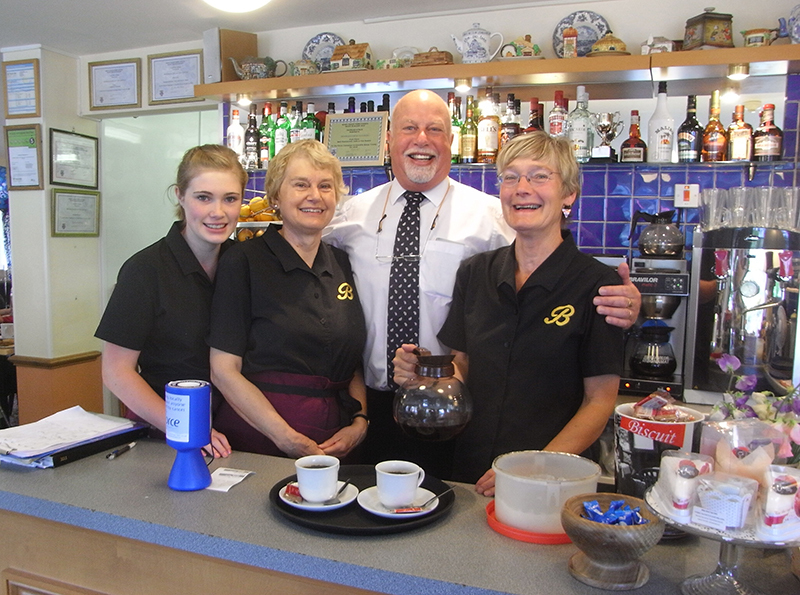 Robin Bean and Mark Riddick purchased the long established Brookside Cafe & Restaurant in Bovey Tracey, Devon, in 2004. Having previously sold the award winning Five Bells Inn at Clyst Hydon, they set about transforming Brookside into the popular establishment it is today. The partners have been in the hospitality industry for over 35 years and have a reputation for high standards, professionalism and friendly welcome. 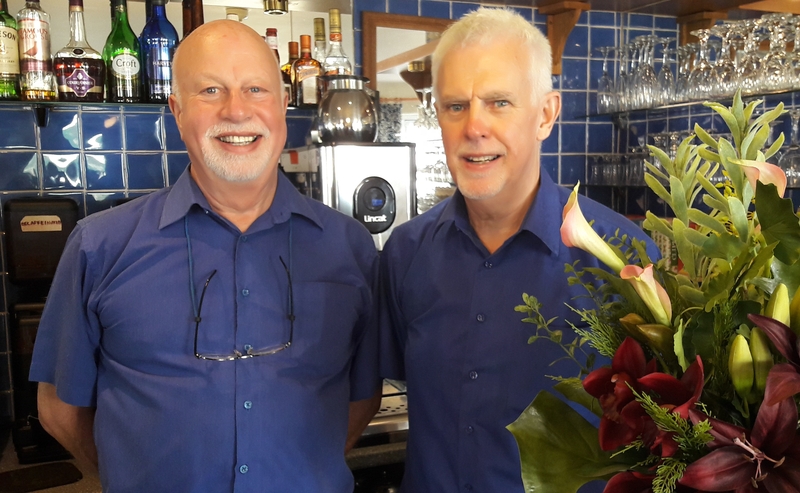 One, if not both can be seen most days in the restaurant, both believing in working hands-on and meeting their valued customers. 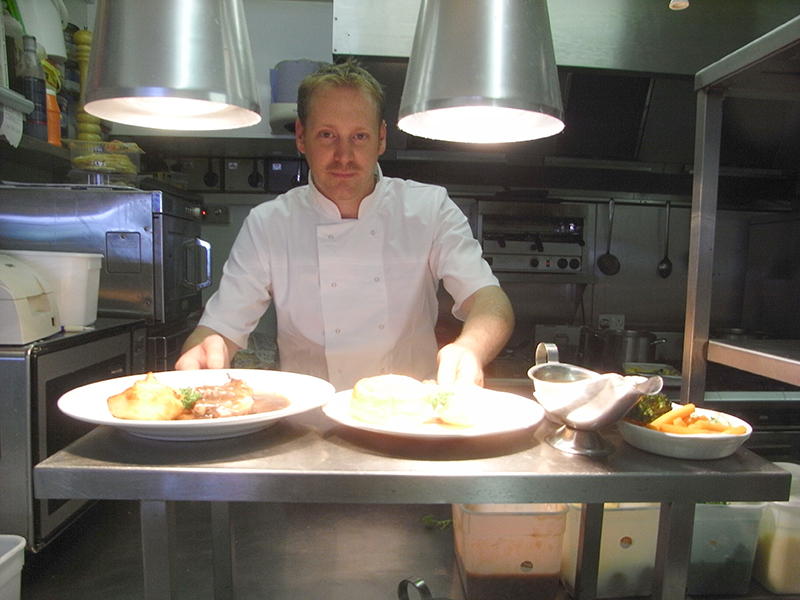 The Head Chef is the highly trained and talented Phil Brough – a local man who is passionate about cooking and using only the finest local ingredients to produce the food that the customers want. He is ably assisted by Second Chef Dean Pring who is equally passionate about maintaining the high standards which are paramount to the success of The Brookside Restaurant & Café. Brookside is managed by Helen Taylor who has worked for Robin & Mark for over 25 years and is committed to maintaining their high standards. We believe that a high standard of service and welcome is essential, and this is why our highly trained and loyal team are our greatest asset. A team who’s ages range from 15 – 84 is something we are very proud of.